Home *News British Isles facebook how-to Ireland KnowHow membership benefits new members profile SCBWI twitter U.K. website Welcome New Members of SCBWI UK! New member of SCBWI UK? Welcome! The best thing about SCBWI is the people. 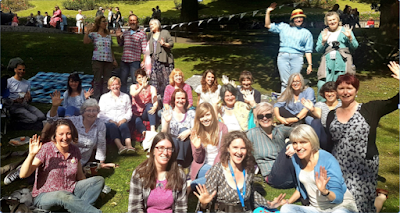 You may not realise all the places where you can meet other SCBWI writers and illustrators–from meetings to conferences to ‘scrawl crawls’, forums, masterclasses and volunteer work (highly recommended!). But suppose you live in a remote place, are a carer, ill, have small children or a demanding job, or just don’t have time or money to get away? Do you know about SCBWI’s online resources? They’re a way to connect with other people who love children’s books. The best place to begin is probably the SCBWI website. You might want to start your visit to the website with this page that provides a general introduction and lists the most important features. 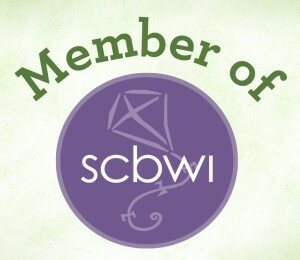 You should fill out your own new SCBWI profile page–it helps other members find you and looks more professional. The Blueboard, which started off as a separate website run by Verla Kay, is a great place to discuss children’s books and related subjects. Please watch the Blueboard’s intro video and read the rules before you begin! If you are an illustrator, check out the Illustrators’ Gallery. It’s a great place to showcase your work and style. Be sure to visit the Resource Library on the site. For example, you can download The Book: The Essential Guide to Publishing for Children. 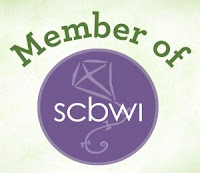 SCBWI started and is still headquartered in Los Angeles, USA, but it has grown to become a truly international organisation with 80 chapters around the world, several regional yearly conferences, and more than 20,000 members. Within the website, there is a British Isles section that is just for UK members. If you’re in Northern Ireland, you can also join the Ireland SCBWI chapter. After you’ve explored the SCBWI website, and perhaps set up your profile page and linked to your blog (if you have one), why not go a little further and learn about the other ways to connect with other children’s book writers and illustrators online? Words & Pictures is the blog of SCBWI British Isles. Usually there is one new post every day. Follow it to keep up with the news! 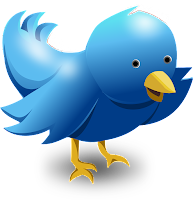 Twitter can be a great way to connect with not only other SCBWI members, but authors, illustrators, agents and editors. (A word of advice: always change the default 'egg' profile picture for a real picture, although it doesn’t have to be your own photo–the Twitter world does not pay attention to ‘eggs’.) Start off by following people and organisations you find interesting, and it’s probably a good idea to ‘lurk’ for a while to get the hang of things before posting for the first time. Hashtags are used to signal special interests and ‘chats’ (#YAChat, #MGChat). Here are some useful hashtags, and here is some more Twitter advice. There is a main SCBWI British Isles group on Facebook. If you’re not very familiar with Facebook, you should know that it’s possible to join Facebook just to take part in a group, and not have anything else to do with Facebook. You do have to have a Facebook profile to join the group (remember that a Facebook profile picture and cover photo are always public; if you’re privacy-conscious, choose pictures that aren’t personal for these). The big British Isles group on Facebook currently has more than 2200 members and a lot of lively discussions. 'Hidden' Facebook regional groups also exist for various regions of the British Isles. (You can find out more about these on the British Isles section of the main SCBWI website). There are ten SCBWI British networks. Geared to the needs of local members, they offer a wide range of events and development opportunities for writers and illustrators, including critique groups, workshops, masterclasses, and write-ins. 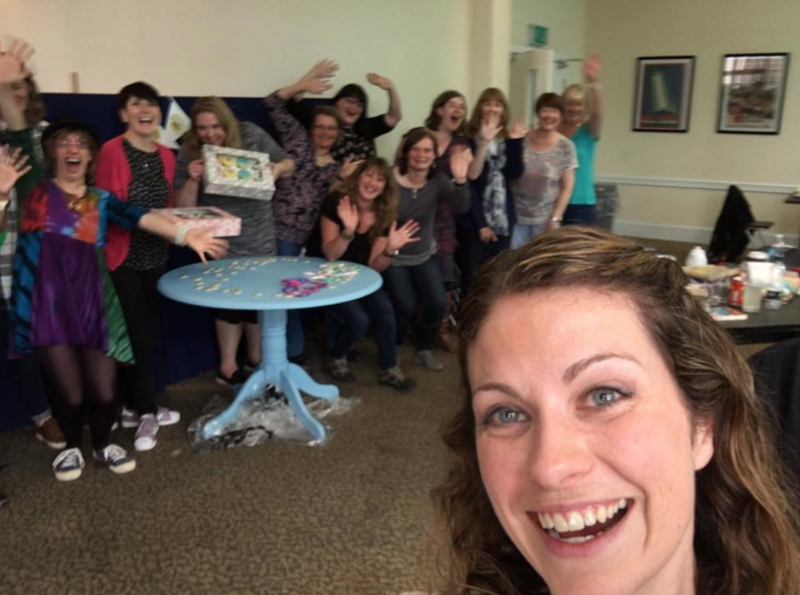 The networks team also works in partnership with local writing festivals and industry professional to try and make the publishing world more accessible to members living outside of London – the 2016 Skylark panel tour, for example, provided members all over the SCBWI Region with one-to-one access to agents and the opportunity to learn more about the submissions process. Recognising that our members have varying needs, I’ve recently been working with the network organisers to improve our offer to illustrators and published members. 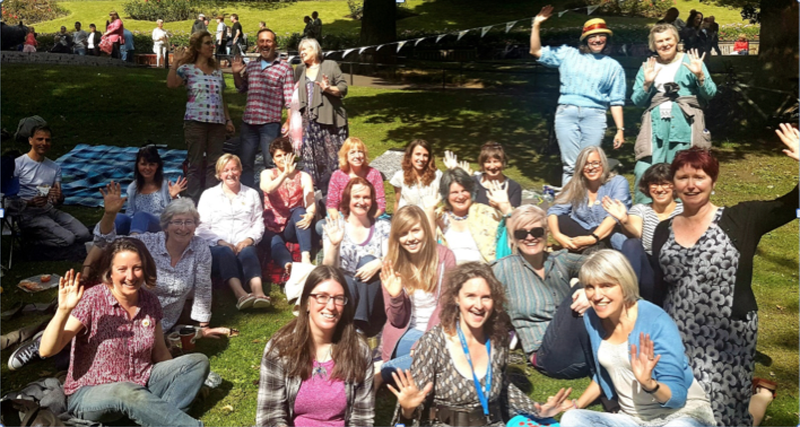 Guided by the PULSE team, we’ve held high profile panel events at the Edinburgh Book Festival and the Manchester Children’s Book Festival and hope to develop our programme further. When I ask members what they like most about the networks, they usually tell me it’s the social side of things – the peer support and friendship that they value the most. That’s true for me, too. What would I do without this motley crew from the North West? 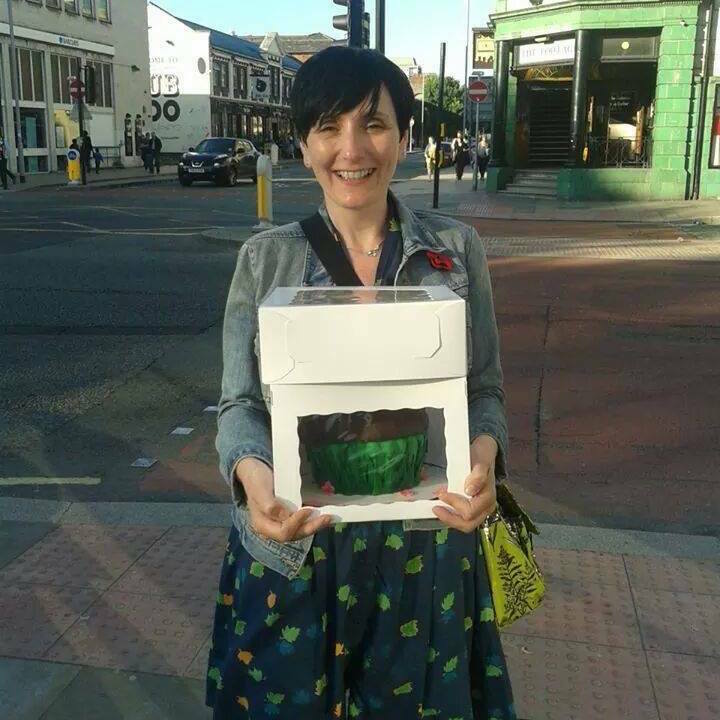 That’s me in the pink cardigan holding the cakes. Oh yes, the networks like cake. You can find out more about your local Network here. And if your network doesn’t offer what you are looking for let us know. Or better still, get involved and help organise it yourself – our networks are only as strong as our volunteers. 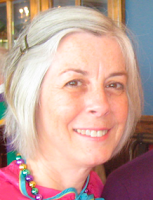 Marie Basting is your Networks Coordinator. When she’s not partying in the networks, she writes fiction for adults and upper YA. 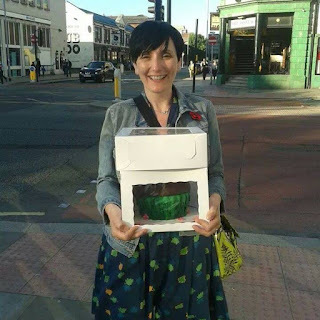 Marie recently completed an MA in creative writing at Manchester Met. She is hoping that her husband doesn’t notice that she’s now unemployed.